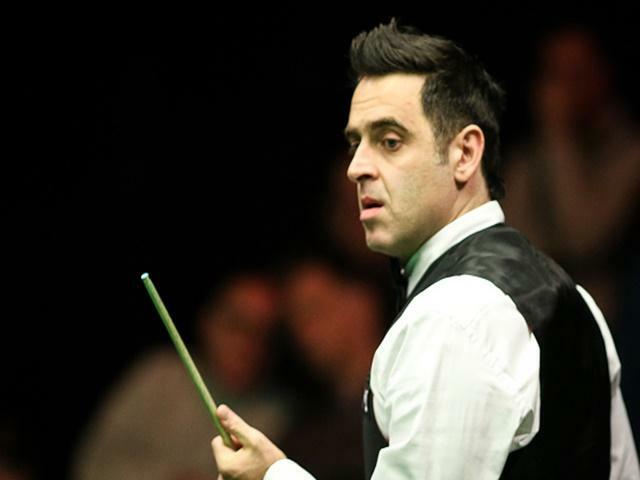 "Critically, Ronnie looked super-focused yesterday and, as so many times over the years, has found his touch as the tournament has progressed. He wasn't that impressive en route to last year's final before destroying Hawkins 10-1." As we reach the end of what feels like the best ever Masters renewal, one must conclude that snooker has never been in better shape. Whereas major titles have generally been restricted to an elite handful, all of the current top-16 and probably a few outside it look well up to the job nowadays. Arguably the best illustration of this competitiveness is the fact that the rank outsider is in the final, and thoroughly deserves his place. Like his opponent, Joe Perry is the wrong side of 40 yet is playing better than ever. Indeed, the effect of more frequent tournaments has given older players a new lease of life and chance to shed 'journeyman' status. That, in truth, is how I'd have described Perry at the start of the week, when he launched his bid to become the biggest priced Masters champion of all-time at odds of [120.0]. Despite having absolutely no recent form to recommend, 'Gentleman Joe' has been a revelation, blowing away Stuart Bingham and Ding Junhui, before last night's magnificent comeback. The final hurdle to complete what would be a career-defining victory, however, is by far the toughest. Appearing in his 12th Masters final, Ronnie O'Sullivan knows this stage better than anyone and is rated overwhelming favourite to land a historic seventh title at odds of [1.18]. 24 hours ago, those odds would have looked ridiculously one-sided as Perry had played by far the better snooker prior to the semis. That logic still applies and the trading potential is clear but after yesterday's vast improvement, I can't see past Ronnie. As Marco Fu found out, it is virtually impossible to beat an on-song O'Sullivan. For the second straight major semi-final, Fu played superbly but the best player ever to pick up a cue found an extra gear when it mattered. Critically, Ronnie looked super-focused yesterday and, as so many times over the years, has found his touch as the tournament has progressed. He wasn't that impressive en route to last year's final before destroying Hawkins 10-1. I don't think it will be so one-sided but doubt it will be all that close. Perry has only beaten Ronnie twice in 15 attempts - the last time eight years ago. We're already cheering the favourite as he was one of my initial four outright selections and, for today's match, let's try a trio of correct scores on 10-4, 10-5 and 10-6. Combined, that pays around [2.5].